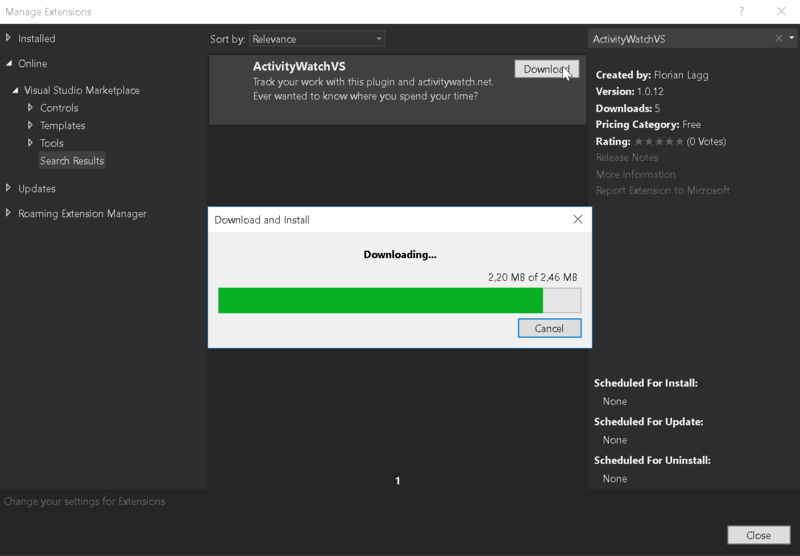 this is the release thread for ActivityWatchVS. Stable version will also be deployed to the VS Marketplace and can be installed using “Extensions” Menu inside Visual Studio. I also plan to deploy stable to the Visual Studio Marketplace (as soon beta is tested for a while). When available I’ll post the link there. If we cannot send events we try to start the ActivityWatch process once. We search different locations. For this to work place the binaries inside an ‘ActivityWatch’ folder inside %AppData% or Program Files folder. Usually you don’t need any configuration. We try to read the ActivityWatch config file, else use the ActivityWatch defaults. 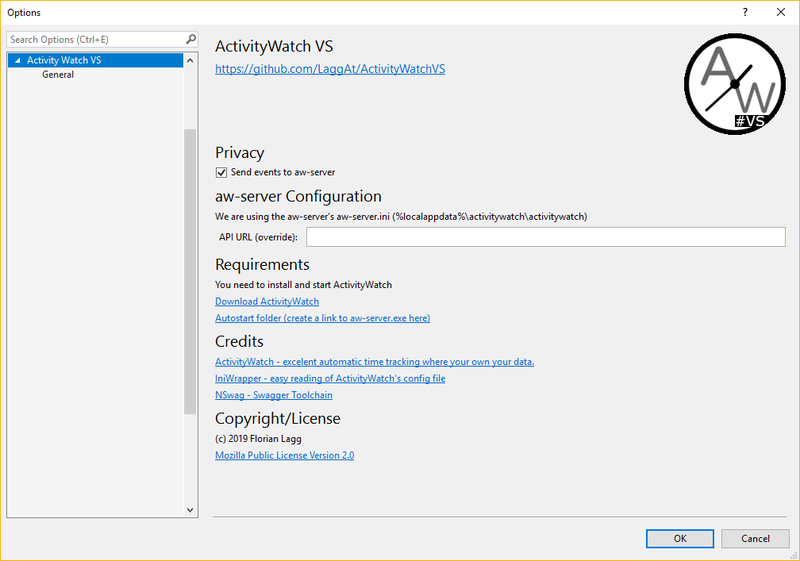 If you need to you can configure the URL to the ActivityWatch service or (temporarly) disable the event pump. If you want some features or find some bugs report them at Github. So there is a stable branch which will be deployed to the Marketplace, and we should have automatic updates on this path. Also we are supporting the brand new Visual Studio 2019.